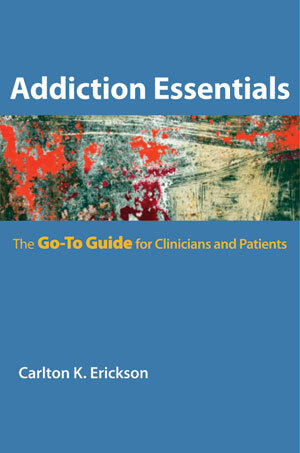 Addiction Essentials - Description | W. W. Norton & Company Ltd.
Erickson examines alcohol, drugs that speed us up, drugs that slow us down, and how to recognize addictive behavior—such as exercise and videogame addiction—which may be less obvious. Other topics covered include alcohol and other drug pharmacology, neurophysiology of brain pathways, alcohol and drug interactions, adolescent drug use, drug use differences by gender and culture, and visual signs of drug use. Erickson presents various therapeutic methods for addressing addiction, including pharmacological interventions, individual or group therapy, twelve-step programs, and therapy involving family members. Finally, he reflects on the involvement of family and the risks and consequences of relapse. Written by one of the country’s leading addiction specialists, this accessible, comprehensive book, is a go-to reference for your questions about addiction, and a friendly introduction to the diagnosis and treatment options.